John J. “Jack” Redd, 80, of Streator passed away peacefully Friday, April 12, 2019 with his family by his side after a 5 year battle with pulmonary fibrosis at his residence in Streator. Mass of Christian Burial will be 11:30 A.M. Wednesday at St. Michael the Archangel Church, Streator. Rev. Fr. Ryan Mattingly will officiate. Visitation will be from 4-7 P.M. Tuesday at the Solon-Telford Funeral Home, Streator. The rosary will be recited at 7:00 P.M.
Burial will be in St. Stephen’s Cemetery, Streator. Full military rites will be accorded by members of the Leslie G. Woods American Legion Post 217 and the Veterans of Foreign Wars Post 1492. Pallbearers will be Leo Morris, Robert Redd Jr., Brayden Kirchner, John Kiss, Lawrence Lukach and Don Elias. Born February 6, 1939 in Streator he was the son of Clarence and Anna (Fialko) Redd. He married Jolanka Kiss. She survives in Streator. He is also survived by sons, Ralph (Carleen) Redd of Streator and Joseph (Brandi) Redd of Bloomington; grandchildren, Emily (Brad) Lang of Rathdrum, Idaho, Alex Redd of Streator and Rebecca Redd of Bloomington; great grandchildren, Jordy and Stella Lang; sisters, Carol Hall of Streator, June Redd of Ottawa and Linda (Richard) Zurlinden of Streator; brothers, Robert Redd of Streator and Will (Dilma) Redd of Claremont, Florida; a sister in law, Ellen Redd of Streator and a brother in law, John Ross of Streator; numerous nieces and nephews also survive. He was preceded in death by his parents; sisters, Loretta Morris and Darlene Ross; brothers, Francis and Leon Redd; a sister in law, Sherri Redd and brothers in law, Gerald Hall and Daniel Morris. Born and raised in Streator Jack attended St. Stephen’s Grade School and graduated from Woodland High School. 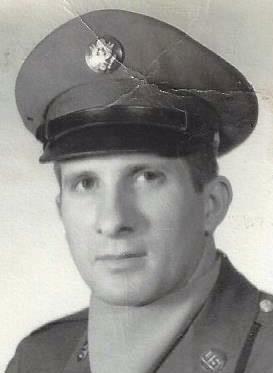 He served in the United States Army from 1961 to 1964. He served his country with honor and was stationed at NATO South in Naples Italy and Christmas Island for nuclear testing in the South Pacific. He was an Atomic Veteran and belonged to the Atomic Veterans Association. He worked for Thatcher’s Glass Manufacturing as a machine operator for 36 years until the plant closed in 1992. He also served as his Union president while at Thatcher’s. He then worked for Mitsubishi Motors for 6 years until he took early retirement at the age of 60. He was able to enjoy 20 years of retirement. He enjoyed traveling and was able to be a snowbird for 11 years in Haines City, Florida. He was a member of the former St. Stephens Church and currently belonged to St. Michael the Archangel Church. He was also a member of the Leslie G. Woods American Legion Post 217. Jack loved his family and was a loving husband and awesome father. He was a fun Grandpa and special Opa to Jordy and Stella. He was the best son, brother and uncle. Memorials may be directed to the American Lung Association.